Properties in Scandretts Bay average 4.6 out of 5 stars. Property 8: Ruru Lodge, Kotare House. Spacious, modern, light, convenient, fully fitted. Property 9: Joie de Vivre. Stunning and unique. 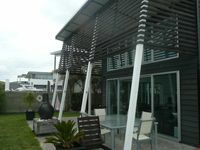 Property 15: Kawau Kabin, 3 bedroomed house, South Cove, Kawau. Property 27: Boaties Paradise - Charming waterfront cottage. 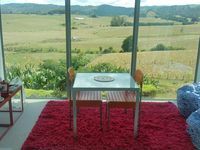 Property 49: Matakana Village Bungalow The best available.